The 8 1/2”W x 11”H Flush Mount Signholder for Wire Grid and Slatwall offers a sleek space saving way to show your signage throughout your store. The side loading sign holders can display messages on one side of the holder. 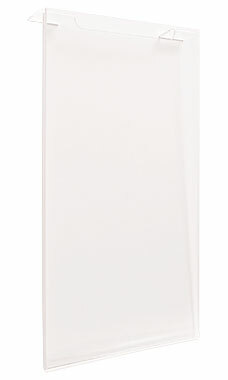 Place signholders anywhere on your wire grid and slatwall panels or self standing displayers. Display multiple signs for maximum visual impact. Learn more about Signage and Table Display Ideas in the Customer Connection section of our website!